Color the Dalmatians. Games online. The two puppies have found your favorite paints. 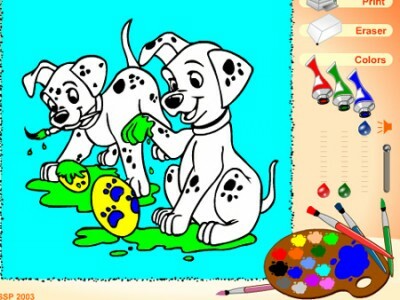 Color the puppies and find out what they have done. Choose the colors you like and print the picture.